Children’s Healthcare of Atlanta has released its 2014 Summer Safety Tips, which focuses on five aspects of summer safety that parents and children can practice to ensure a safe and healthy summer. The list includes helpful advice to promote water, travel & play, sun & skin, heat and fireworks safety. 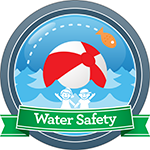 Water Safety – Drowning is the second leading cause of unintentional death of children age 14 and under. Practicing water safetyincluding boat, pool, swimming, life jacket and general water safety can help prevent this. 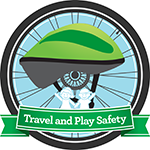 Play & Travel Safety – The summer season brings more time outside and on the road. Keep your family safe by practicing safeplay and travel tips like following road rules on a bike or properly buckling your children while in the car. 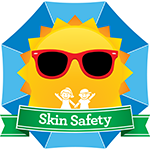 Sun & Skin Safety – Melanoma, the most dangerous form of skin cancer that can spread rapidly to different parts of the body, accounts for up to three percent of pediatric cancer. Protect your kids by taking measures to prevent sunburn, and by understanding the potentially permanent effects of excessive sun exposure. 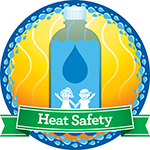 Heat Safety – Each year, young athletes and children die from heat-related illness, which is completely preventable. Know the signs of heat illness, keep kids hydrated while playing outside, and understand how to protect babies and young children from the heat. 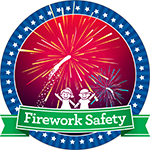 Fireworks Safety – When it comes to fireworks safety, stick to the professionals and keep kids away. Doing so can prevent burns, the most common fireworks injury. For more detailed information about Children’s summer safety tips, please click on the links above.